Over a quarter of GetSmarter’s students fund their studies with a little help from their employers. When you commit yourself to lifelong learning, you’re making yourself invaluable to your organisation. 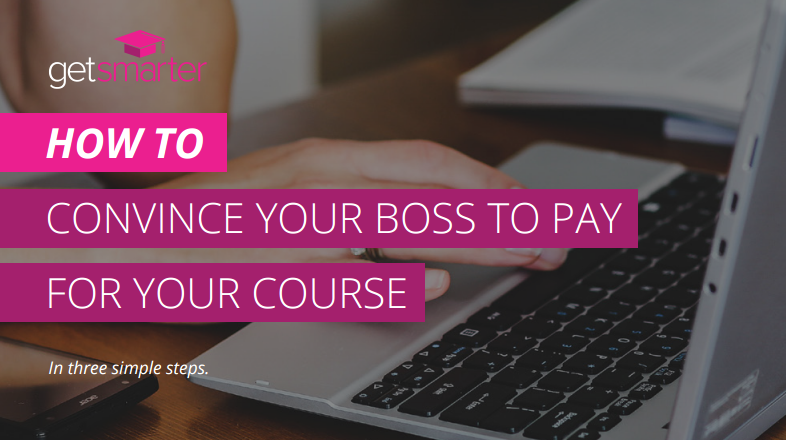 Your boss and your company will directly benefit from your newly acquired skills and relevant industry knowledge so why shouldn’t they become involved in the payment process? But asking your boss to pay is not always easy. That’s why we’ve developed this interactive worksheet, providing you with the guidance to do some strategic thinking and ultimately book that all-important meeting. Ready to ask your boss and start your learning journey?